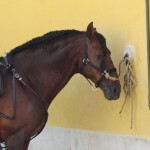 At the center of the arena, Quejal is elegantly piaffing between the pillars. 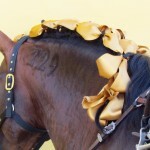 There is no tension in the ropes that secure him to the two poles decorated with flags. 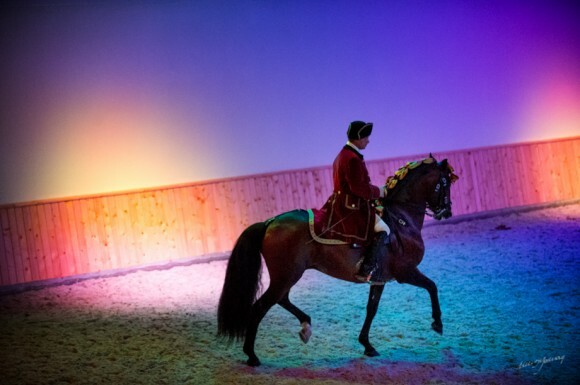 The beautiful Alter-Real stallion dances to the rhythm of the minuet of the Suite No.1 in F major of the Water Music by Georg Friedrich Handel. 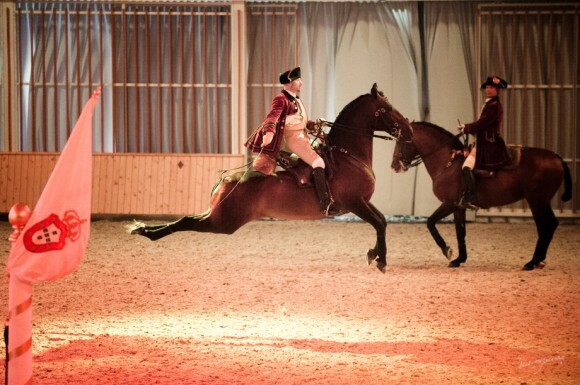 His movements are seemingly without any effort, as if to show off his power and elegance. Behind him, tactfully, João Pedro Rodrigues, mestre picador chefe of the Portuguese School of Equestrian Art, watches him, pleased, and encourages his dance imperceptibly waving his whip. Five other stallions, conducted in hand by their riders, file past on the track. In turn, they move towards the center, performing spectacular jumps, cabrioles, courbettes, ballotades, following one another, alternating with magnificent levades. 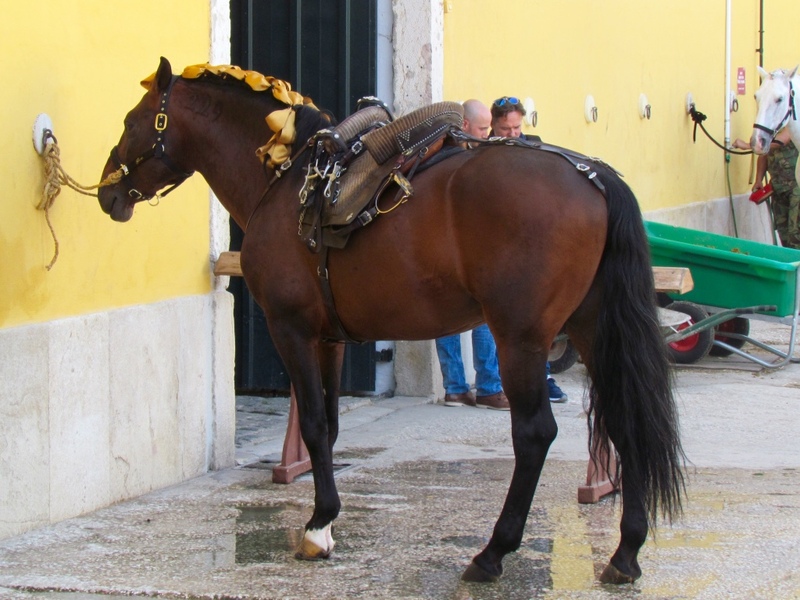 After over two hundred years, the equestrian art is back in the Belém district, in the heart of Lisbon. 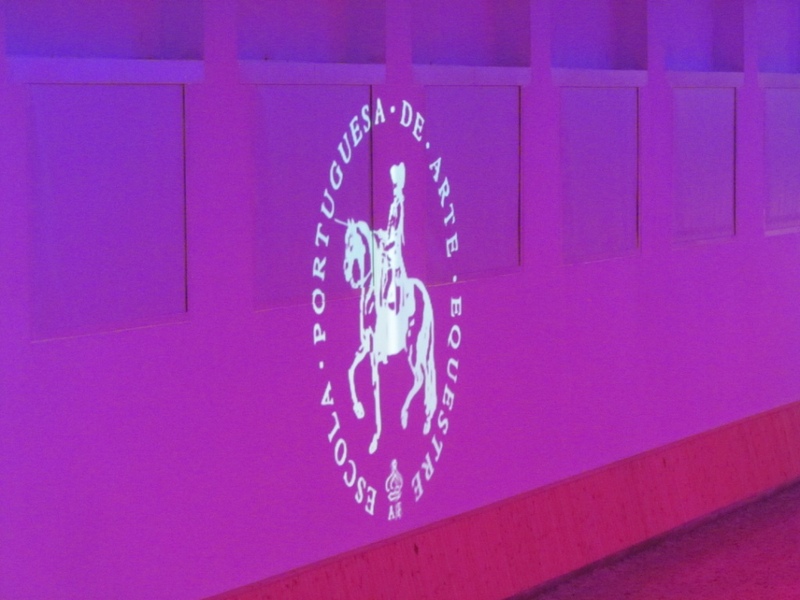 On July 16, with a special gala held in the presence of the Portuguese Prime Minister, Pedro Passos Coelho, and of the Minister of Agriculture, Assunção Cristas, the new covered arena of the Portuguese School of Equestrian Art was inaugurated. 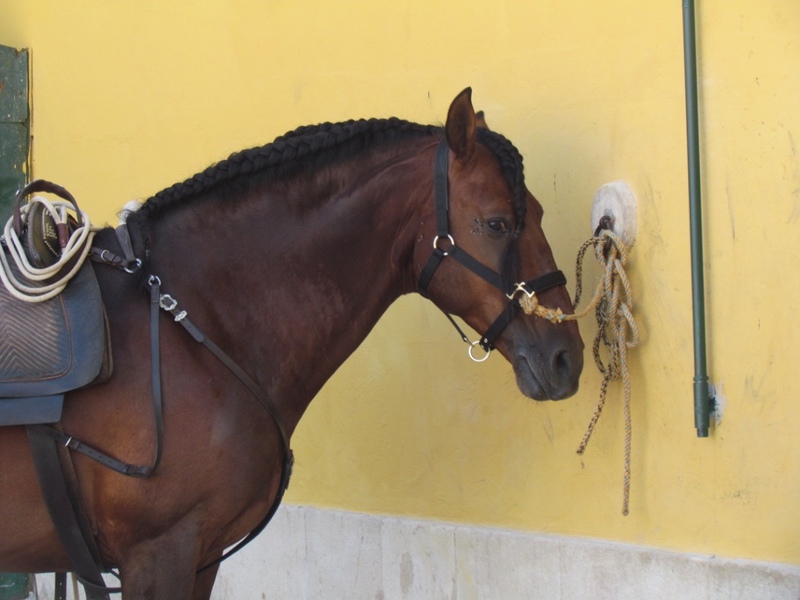 Finally, this prestigious riding school, for years hosted in the gardens of the National Palace of Queluz, has a suitable place in the capital where they will be able to perform throughout the year. 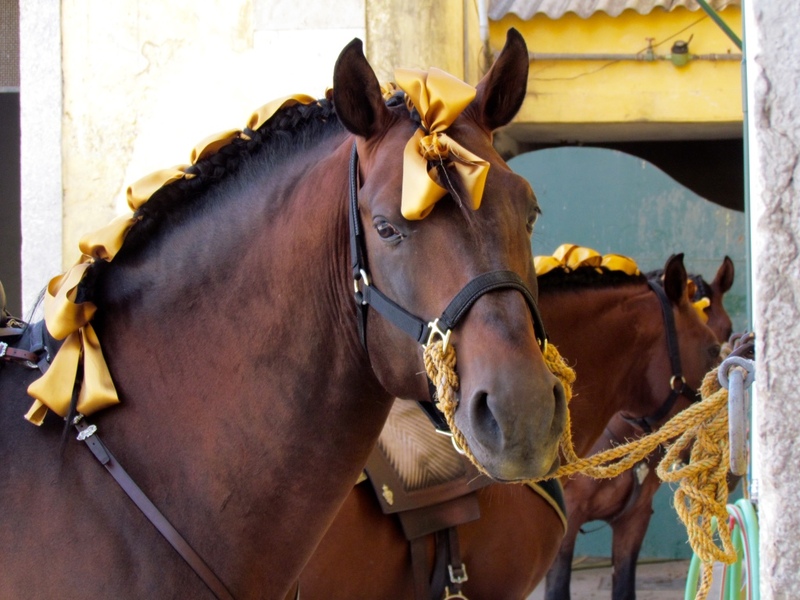 And the new Picadeiro Henrique Calado is located just a few hundred meters from the building which, in the eighteenth century, housed the Picaria Real, the riding academy established by João V to which the school explicitly refers. The new arena is modern and functional, with two stands for a total of 282 seats, a cafeteria and a bookshop. 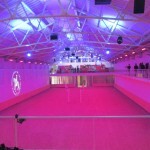 The arena is made particularly striking by giant projections of images and video on one of the walls. 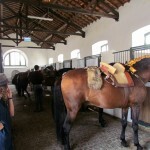 From now on, every morning people can come here to watch the training of horses and riders and, twice a week, there will be shows with music and costumes. 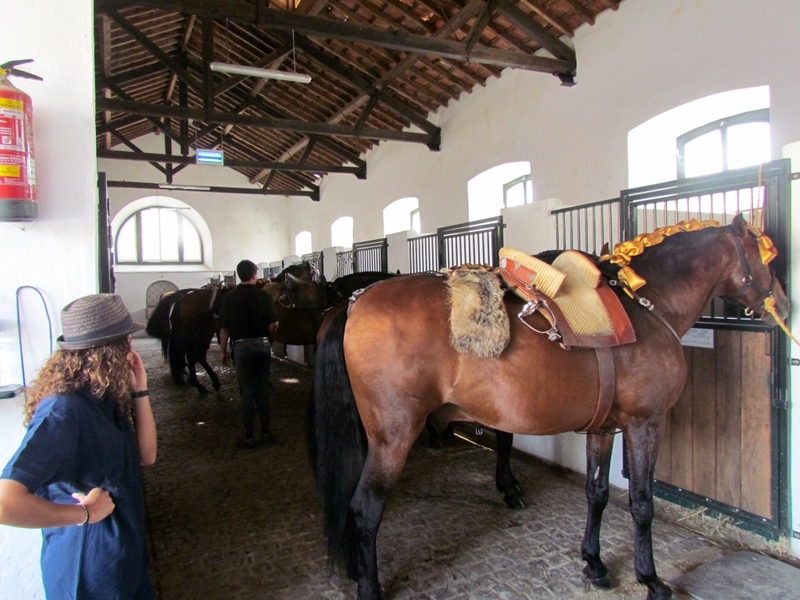 And just a few hundred meters from the new arena are the new and old Coach Museums, one of Lisbon’s tourist attractions even for non horse-lovers. The debut was full of emotion. The riders of the military school of Mafra were the first to perform. 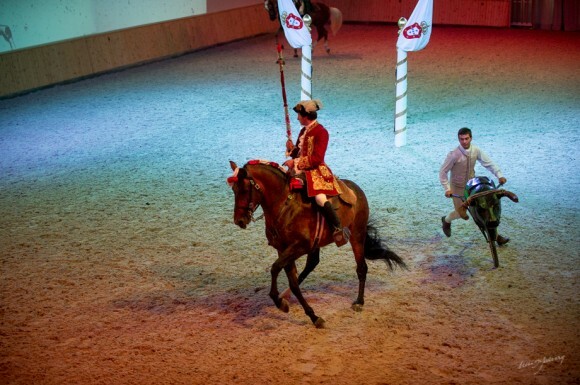 Then, introduced by valets and standard bearers on foot, with a fanfare mounted on horseback in eighteenth century costumes, the riders of the School paraded around the arena, accompanied by two bullfighters mounted on beautiful stallions and by the falcons and hounds of the Alter Stud. Suddenly the spectators found themselves in another epoch. 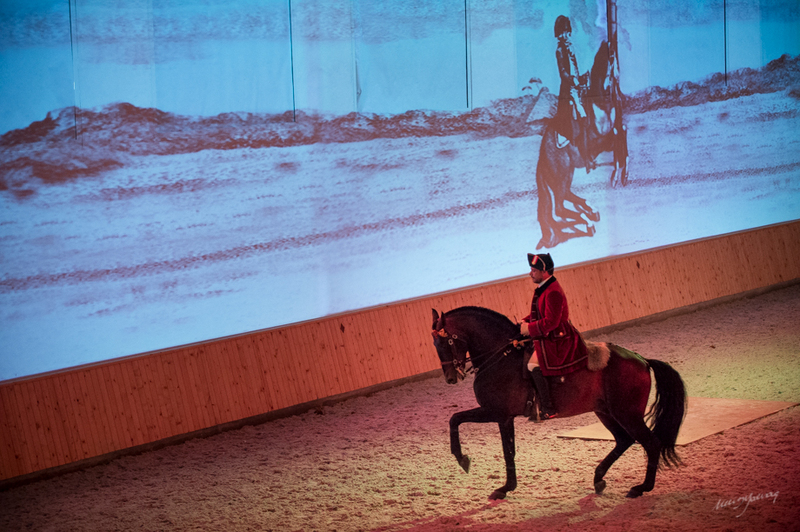 It was as if, by magic, the beautiful illustrations of ancient equestrian treatises, which were projected on the wall, became animated and the characters and horses represented in the pictures, materialized in the arena. 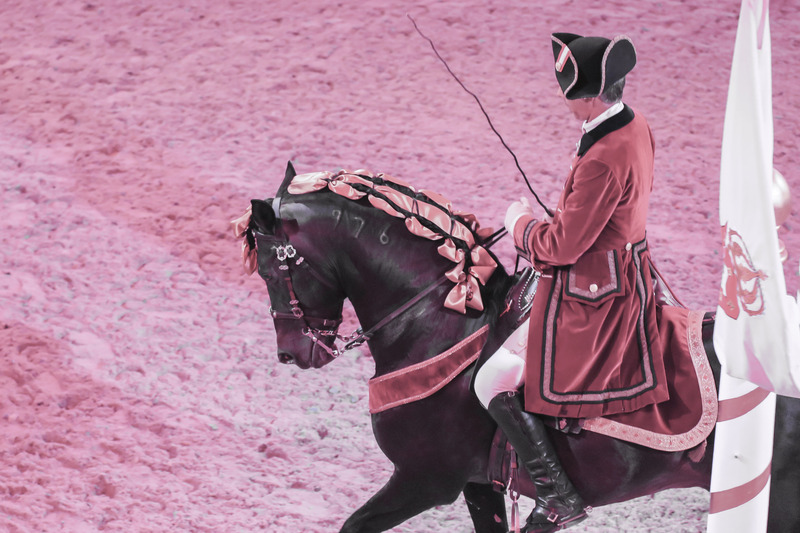 The magic continued with António Maria Brito Paes and his brother Joaquim, who gave a demonstration of bullfighting equitation. They, in turns, made a duet with the tourinha, the typical wheelbarrow with a bull’s head which is used for training bullfighting horses. Then it was the turn of the School. First, came the airs above the ground in hand, followed by a wonderful solo by João Quintas. This was a real example of equestrian philology, with the rider performing half-passes, tempi changes, pirouettes, piaffe and passage, strictly riding with just one hand and holding the whip high in his right hand. 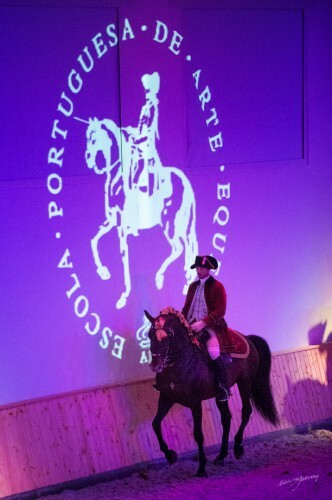 The performance was just like the riders portrayed in the plates of Carlos de Andrade’s treatise, Luz da liberal e nobre arte da Cavallaria (1789), which inspire the School’s philosophy and technique. 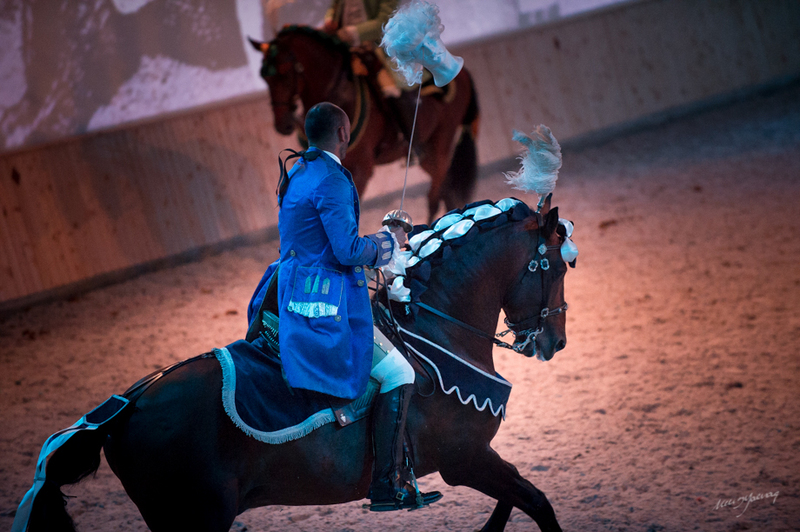 Subsequently Gonçalo Soares, António Borba Monteiro, Carlos Tomás and Vasco Pinto performed the mounted airs above the ground, recreating the same exercises which were first shown from the ground at the start of the show: spectacular cabrioles, dizzying courbettes, elegant levades. A performance in which they demonstrate supreme composure, even in the most impetuous movements, and apparent ease, while performing the most sophisticated gestures. 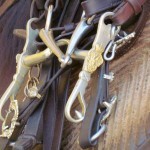 After all, the essence of high school riding is all based on this unceasing pursuit of perfection. 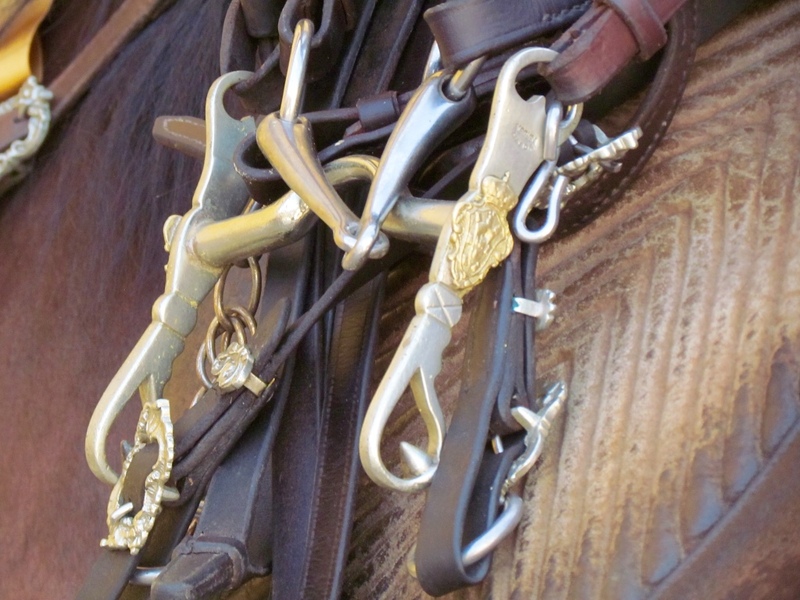 In fact, such spectacular and difficult exercises are just tools to make tangible the aspiration toward an ideal of absolute communication between man and horse. 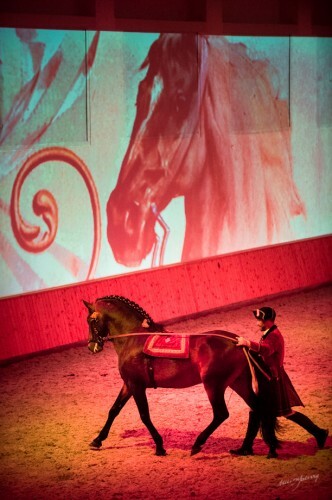 Accompanied by opera arias, the solo on the long reins was great. 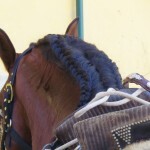 Paulo Sérgio Perdigão easily performed all the difficulties of a dressage Grand Prix, driving his horse from the ground and concluding his exhibition with an impressive series of tempi changes. Finally, the carousel. Eight riders: João Pedro Rodrigues, Francisco Bessa de Carvalho, Gonçalo Soares, Vasco Pinto, Paulo Sérgio Perdigão, Carlos Tomás, Rui Almeida and Ricardo Ramalho performed a real ballet on horseback, executing with extraordinary precision a complex choreography that was a feast for the eyes and the soul. 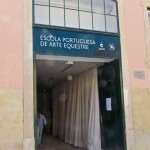 I confess that when, three years ago, the news that the management of the Portuguese School of Equestrian Art was changing, I was worried. 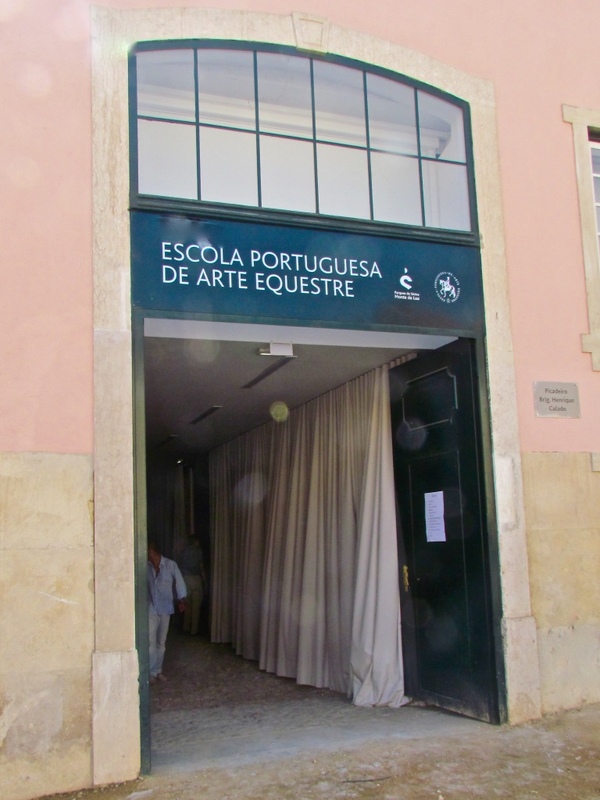 Also, because the first, confused news said that the school was going to be “privatized” and even that the Alter do Chão Stud, which provides the beautiful Alter-Real stallions to the School, was going to be closed. Nothing more false! 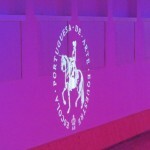 Instead, the company Parques de Sintra – Monte Lua SA which is a public-owned company formed to manage and enhance the monuments of Sintra after they entered the UNESCO World Heritage in 1995, has shown it’s belief in the cultural and touristic potential of the School, made the investment to continue and enhance its work. A brilliant young manager, Theresa Abrantes, was chosen to direct the School. 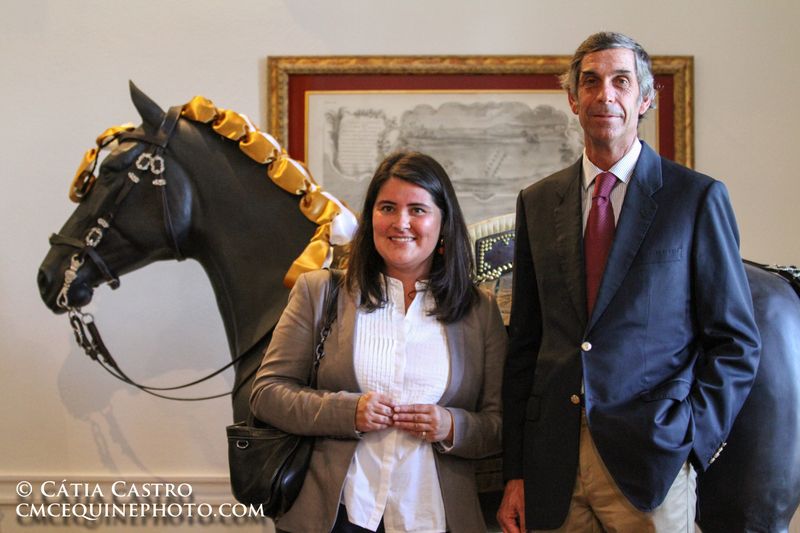 Together with the new picador chefe João Pedro Rodrigues, she was able to make a significant change in its activities. The first time that I visited the School many years ago, I was struck by the relative poverty of its means. 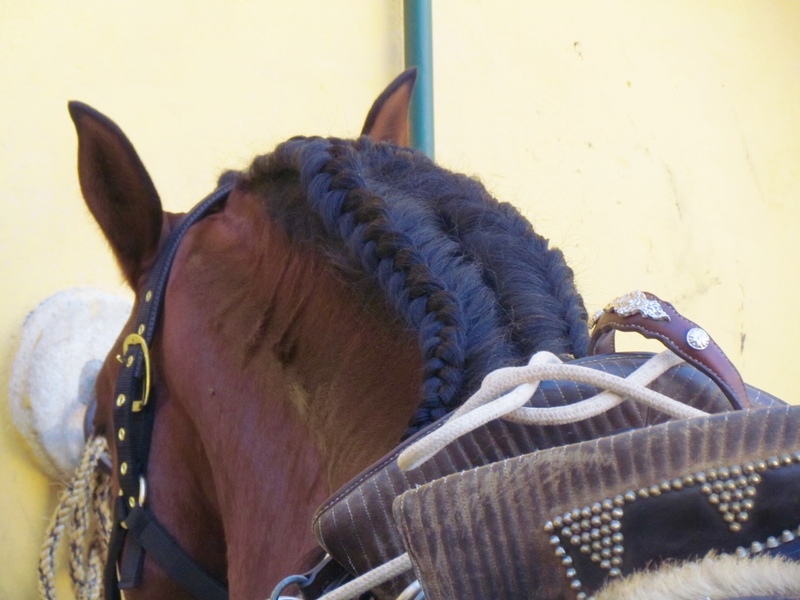 This made me admire even more the extraordinary mastery of the riders. 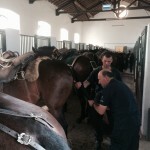 In spite of the effectively difficult conditions in which they were operating, they practiced a very refined horsemanship, on par with the other great European academies: the Spanish School of Vienna, the Cadre Noir of Saumur and the Real Escuela Andaluza de Arte Ecuestre in Jerez de la Frontera. Today the conditions have drastically changed, and for the better. 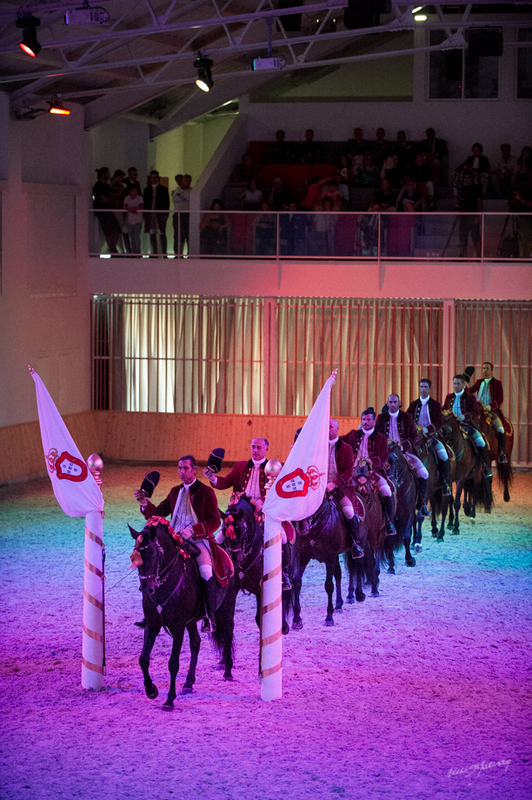 With the opening of the new arena in the heart of Lisbon, it will be easier for horse lovers from all around the world to enjoy the supreme beauty of the Alter horses and appreciate the ability of the Portuguese riders. 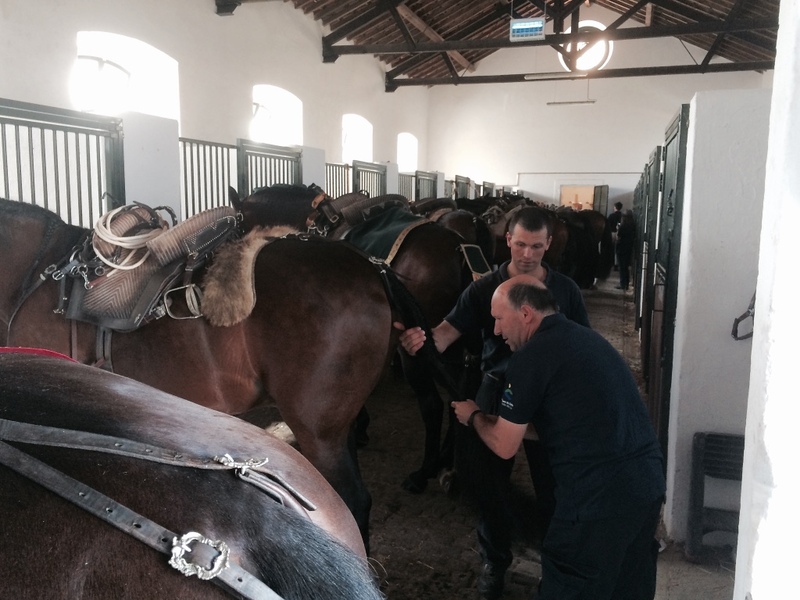 Thus it begins a new phase for this wonderful institution, which is keeping alive a cultural heritage of great value to all those who love horses, fine horsemanship and history. Long live! This is just so beautiful. I can’t wait to visit. 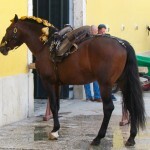 I love the lusitano horse and have one that I imported from Portugal. Also love Portugal. Thank you for this wonderful article. Thank you very much, Janet. I’m very glad of your appreciation. 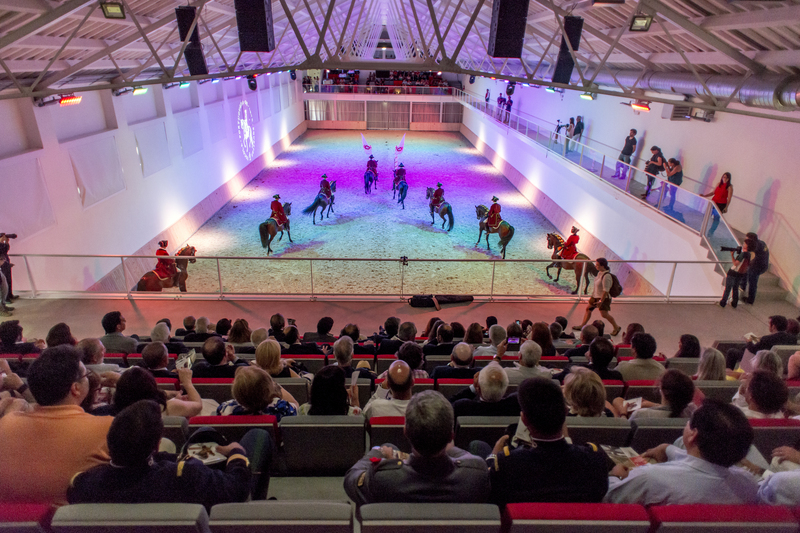 For sure the new riding hall of the EPAE is a place to visit. I highly recommend you the galas, which are the longer shows. They are performed weekly. 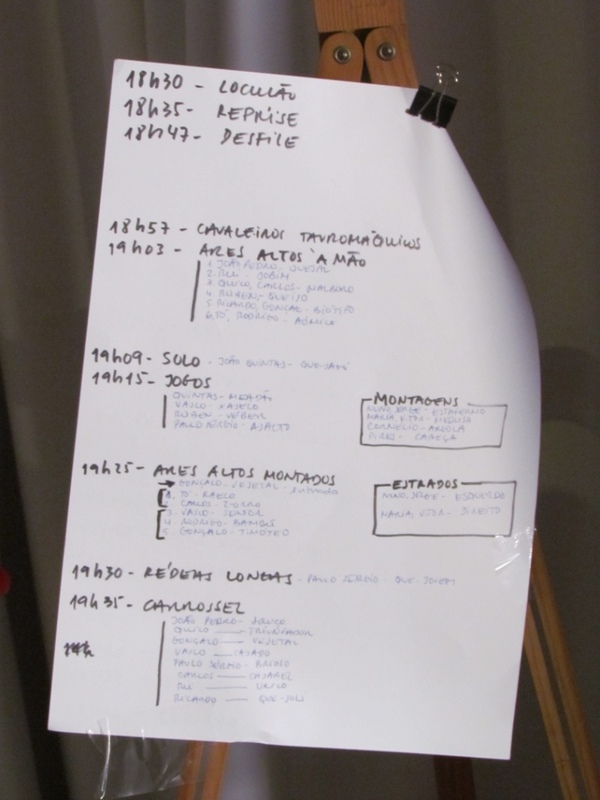 You can find the dates and book the tickets through the internet (http://www.arteequestre.pt/). 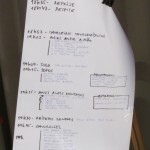 I hope you will keep on following my blog. Ah! to be able to be there would be a dream come true. 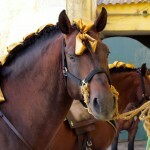 I study what material I can fine this this wonderful pure Classical Dressage and slowly teach my horse in that manner. Thank you for making sure this tradition is kept alive! 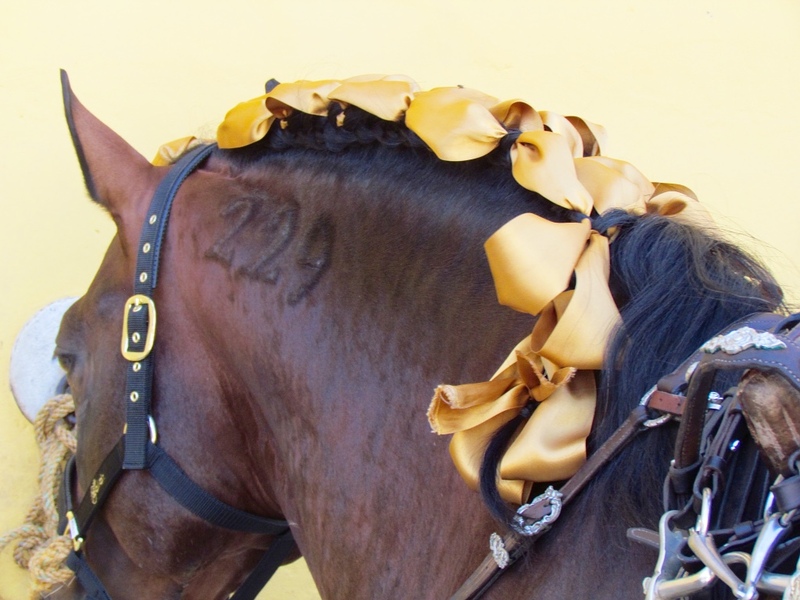 You are, without a doubt, one of the best ambassadors in the world, of the Portuguese Equestrian Culture. Congratulations ! Thank you Teresa! You are very kind. I just enjoy the people and the places that preserve and enhance culture and history. As I think that our past feeds our present and support our future. Thank you again. I hope you will keep on following my blog and that we will keep in touch. Ciao!